Sandblasting Rhode Island is the best service around for your surface preparation needs. Step into the future of flawless surface preparation with our latest sandblasting technology. We convert any kind of surface finish you visualize into reality. Be it surface smoothing, roughening, shaping a surface or just getting rid of contaminants on your surface. We will get to every nook, cringe and cranny putting detail to achieve your desired finish for your surface. The most impressive part is that, we will do all these faster than any other method in the surface preparation market. We take as little as four hours for a surface as large as a yacht bottom. Isn't that impressive? Wondering what this magic is? Sand ( abrasive ) blasting. This is a process where we use the latest abrasive cleaners to forcibly propel a stream of abrasive material against your surface to achieve a variety of classic finishes. ​This stream of abrasive material act as a make-shift sander just with advanced maneuvering capabilities and far better results. For a system so adaptable to virtually all your surface preparation and restoration needs sandblasting, all of it's adaptations work on the same principle that is; by use of a compressed air powered pressure gun to hurl out a stream of abrasive material towards the surface supposed to be cleaned at a very high velocity. Our expertise in this field gives us the confidence to assure our customers any sort of surface finish by adapting this simple concept to your complex needs. ​We sandblast virtually all types of surfaces. 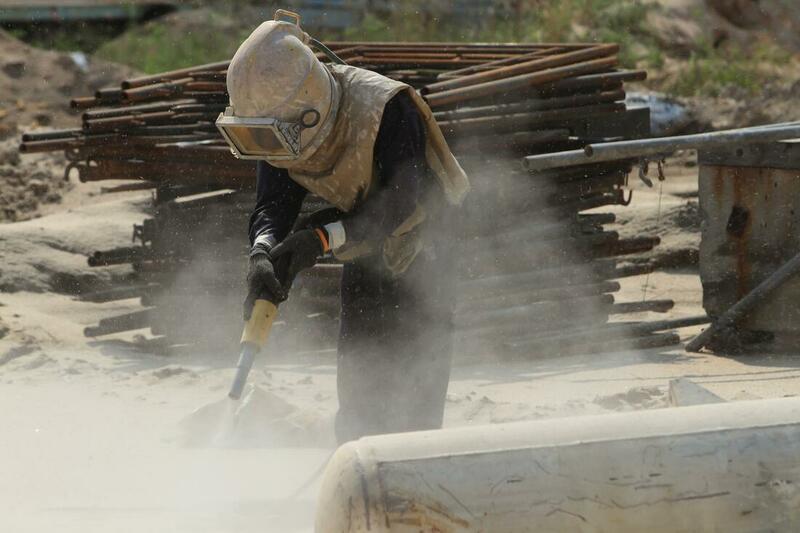 From the most obvious to the unthinkable, our professionals will carefully determine the right kind of blasting media and method of sandblasting for your particular surface and according to your desired finish find the best methods to combine all these. Comprises of three major components: an air compressor, a hand controlled pressure gun and a hopper the gravity fed gun is perfect for spot-rust stripping. We will use this model to clear rust of your metallic and material such as aluminum, iron and practically anything else filled with rust you have, trust us to clean it for you. How much pressure will your coat take to remove? Is pressure enough to strip metals to their bare surfaces enough? I bet it is. No matter the size of your surface no stain and/or coat is a match for our pressure sandblaster. With adjustable PSI rating we, ,will sweep through any kind of coat. ​Even the thickest and most tough Marine undergrowth will take us not more than an hour to get rid of. Other methods such as the use of chemicals and manual scrubbing, on the other hand, take ages to do this simple task ( to us). 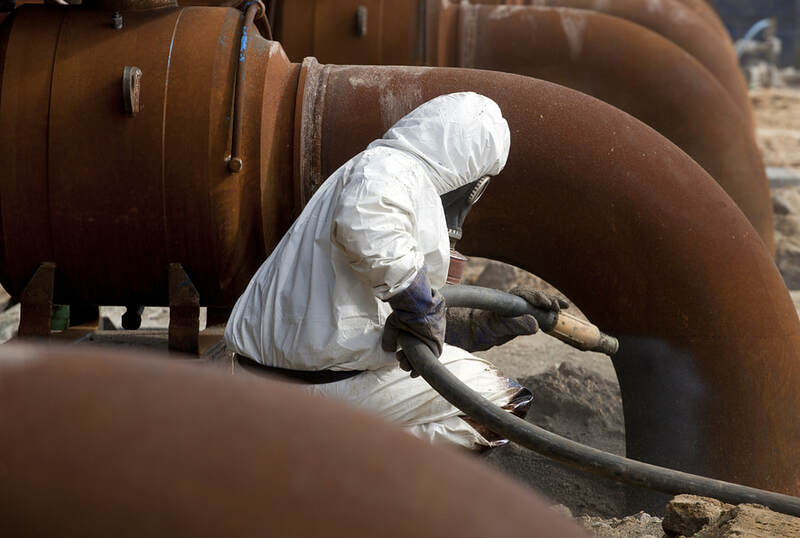 We offer a variety of sandblasting options to ensure that rust, impurities, old paint coats and any other form of debris that might try to steal the glow from your surface are completely wiped off. Going into detail in finding a solution for each one of your surface preparation needs. Here's an impressive list. This is the most common blasting media we use. Recycled crushed glass is good for the environment and your blasting project. It can be used anywhere as its not harmful to humans or pets, and it is biodegradable for the environment. Call us to see if this blasting media is right for your project! With soda sandblasting we merge some chemistry and physics to remove rust and other sorts of debris you might have. We use bicarbonate soda to clean rust caused by soluble salts on your metal surface. Bicarbonate soda also achieves a desirable effect when used to clean delicate equipment and works extremely well in clearing grease from machines and in food processing firms. Steel based abrasive is used in this type of sandblasting to leave a smooth and mantle finish on your surface. Steelworks well in cleaning thick layers of most types of debris sweeping them away under our expert care and Hi-Tech tools. We also accompany this with bristle blasting for all your corroded surfaces. We will rotate steel bristles on your surface in succession to get rid of any corrosion on your surface. A form of wet sandblasting, vapor honing is a new addition to our service offering and we are excited to put it to use! Vapor Honing created a finer finish than traditional sandblasting and creates virtually no dust. It can be used to de-grease, and works very well on stainless steel. Aluminum oxide: with a grit value of up to 220 and hardness ranging between 7 to 9. aluminum oxide is one of our most preferred abrasive media for a wide variety of surfaces. It is very adaptable to most of the surfaces and has always had definitely excellent results each time. Crushed glass grit: The angular form of this abrasive media allows us to use it in old coat removal and clearing a contaminated surface. While a media for aggressive surface profiling, crushed glass grit contains no free silica and heavy metals making it an excellent abrasive for environmental conservation. Silicon Carbide: We also have the hardest ( and toughest) abrasive media stocked too.Silicon Carbide has the highest cutting speed of all the abrasive media's found in the market. It's manufactured in small grainy pellets and is ideal for stone etching and glass surface preparation. Glass beads: If you prefer a brighter or smoother finish for your surface, we have just the thing. The lead-free manufactured abrasive glass beads that are ideal for a more smoother touch on your surface while still maintaining the same basic sandblasting features we consistently provide. Plastic abrasive: we also come prepared to strip the coating from delicate metals such as aluminum with our wide variety of plastic abrasive media's. We will get rid of any old coat on your car and leave it ready for a fresh coat. This abrasive also works fantastically on aerospace blasting, be it large commercial or private jets and choppers. Rest assured of a spotless coat strip like you have never imagined before while still maintaining your car's body dentless. Pumice: Have a delicate piece that you are worried who to trust with in cleaning it. Leave that to us! With our super delicate pumice abrasive media and our experience we will clean and clear whatever debris you have on your antiques and sculptures. Pumice is a natural occurring abrasive media that is ideal for delicate but effective blasting. We will carefully use this abrasive to clean all your favorite pieces. Steel shots: If your surface has a thick layer of debris ( such as grease filled industrial equipment) and you also want it to remain smooth and with a polished look afterwards, you no longer have to pay twice! With our rounded steel shot abrasive we can deliver both of these.. needs in one package. They are rounded to ensure that along with clearing thick layers of debris we will also give your surface a new shine. Corn cob and walnut shells: We understand all your surface preparation and restoration needs, that is why we also have these organic inclusions in our long list of abrasives. We will use this abrasives to cater for all your needs at home. We will clean your fireplace, clear debris from and around your porch and practically anything else you might want us to blast. With this biodegradable abrasives, we will make sure both your surface and the environment are clean.Isn't that what you opt for?Sure we've got you sorted. We make use of the latest tech- upgrades to minimize the amount of dust produced in this process. By mixing water and the abrasive we drastically reduce the amount of plume. We make use of sponge blasting technology and the latest Dustless blasting hardware so that we can minimize on the rate of pollution. ​You don't have to stop your regular activities around our workpiece since that's our goal. By minimising on the plume we won't disrupt any activity in a highly populated place. 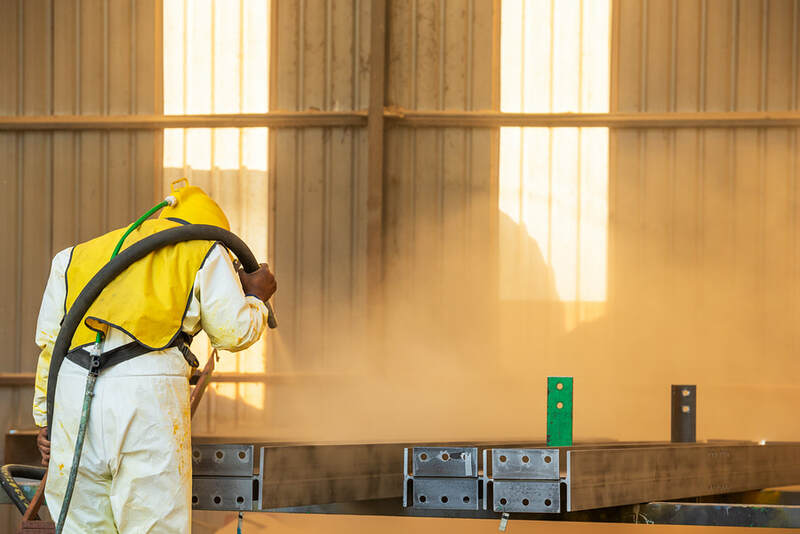 Contact us today and choose from our wide range of services for the highest quality sandblasting service at the most pocket-friendly price you can find. We design your desire to a reality.